Who said you can’t get drones with cameras under one hundred dollars? See all the drones with cameras under one hundred dollars you can get on Amazon. 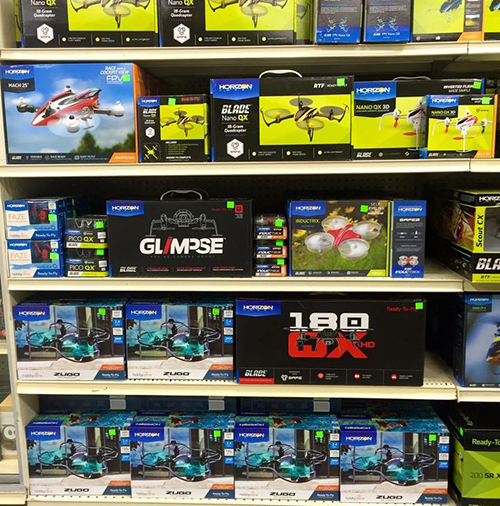 You’ll be surprised at the variety of quadcopters with HD cameras for under $100. There’s one from Syma for $40 that is pretty impressive and has high reviews. Time Magazine says the Syma X5C offers a great experience. There’s also the tiny EACHINE E10C Mini Quadcopter With 2.0MP Camera Remote Control Nano Quadcopter for $31.00. The BoToys Cheerson CX-10C is only $22.00 and yet it can make 4-way 360 degree flips. Like most it has LEDs for night flight. These drones are cheap, easy to fly, and a whole lot of fun. There is no easier way to get into aerial videography. But even if you never use the camera, you’ll love flying a drone. I used to fly radio-controlled helicopters, but they were much more difficult to keep in the sky. Quadcopters are so much better. And easy! Disclosure: This link pays me a small commission when you make a purchase through it. But this does not cost you a cent more.